Christian Roeckenschuss studied at the Academy of Fine Arts Dresden (vocals and piano) in 1949/50. After relocating to Berlin-West for political and ideological reasons, Roeckenschuss continued his studies at the College of Fine Arts (1951-1957). They are based on the abstract avant-garde of the 1910s to the 1930s and on the clear forms of Bauhaus and De Stijl. Between 1950 and 1958, study trips and the search for his own formal idiom took him to many countries worldwide. Early tendencies of his art concept are recognizable. The first small-scale oil-chalk designs with clear geometrical shapes were created in 1956. The determination of the quadratic format and mathematically calculated accuracy can clearly be seen, while in the direction of Minimalism and Concrete Art, abstractly working artists such as Antoine Pevsner and Hans Arp are also involved. Both meet Roeckenschuss while studying in Paris. Later, he also exchanges with Lucio Fontana, whom he visits in Milan. Christian Roeckenschuss worked freelance in Berlin since 1957. In the 1950s, the artist is one of the few geometric-abstract artists of the city. Roeckenschuss‘s artistic credo is „to move away from the personal and the limited, to the universal and to the coolness of technical time“. Squares, rectangles, and formats designed with compass and ruler, often in signal colours, now characterize many of his paintings. In 1958/59, Roeckenschuss explores circular structures in which playfully dissolving circular shapes follow in segments. In the 1960s, Christian Roeckenschuss experiments with materials from the modelling and stationery needs. He works with grids, stencils on wood, paper and Plexiglas. Also in the 1960s, Roeckenschuss deals with aspects of refraction and light reflections. 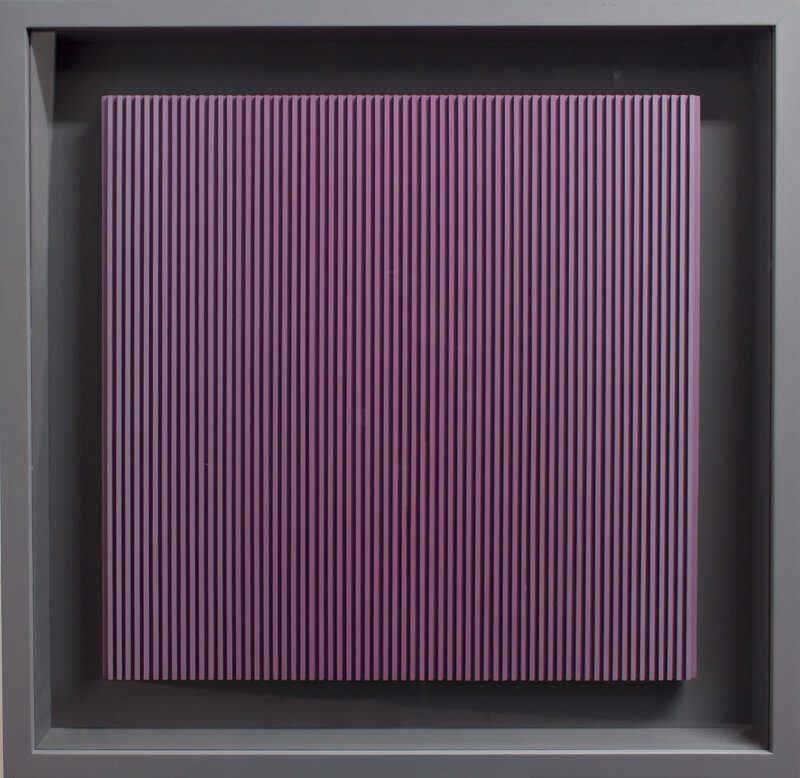 By working with OP-Art and ZERO, Roeckenschuss‘s oeuvre is fundamentally linked to aspects of movement and the illusion of space. 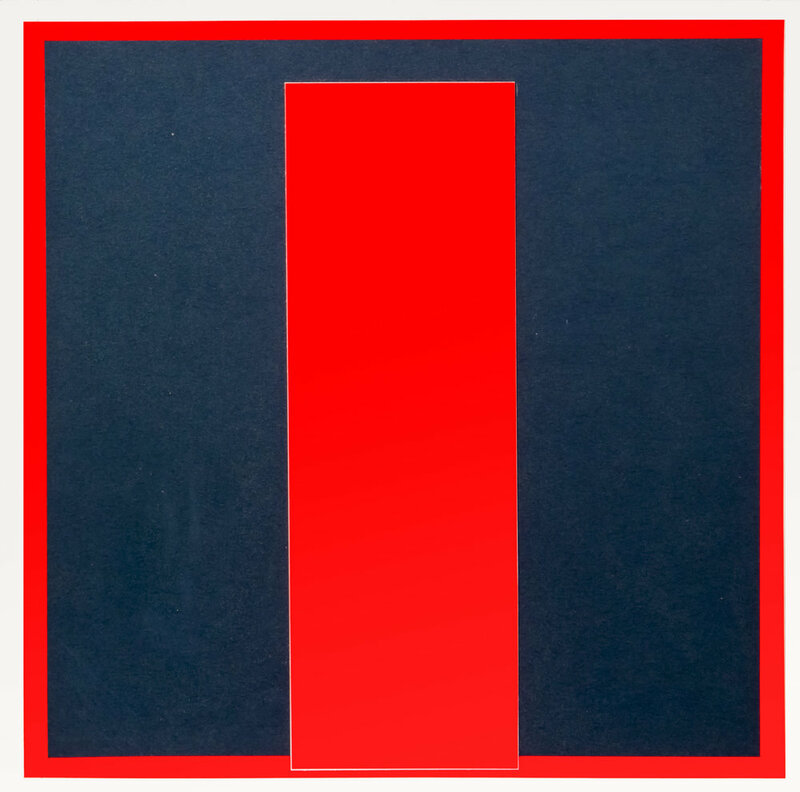 The confrontation with the spatial and aesthetic effect of colour is, among other things, visible in art-in-construction projects of the 1980s in Berlin and Lübeck, but especially in his work on the series of Séquences Chromatiques (color stripe gradients), lasting from 1975 until his death. In the late phase of his life, Roeckenschuss produces work from industrially produced films. In 2011 Christian Roeckenschuss dies as a result of a fall in Berlin. Roeckenschuss gained international recognition as a result of his numerous international exhibitions. Its importance for Minimalism and Constructive Art is constantly highlighted by the exhibitions at the Daimler Art Collection. The retrospective exhibition Minimalism Germany 1960 at the Haus Huth honours him as one of the most important German minimalists of the post-war era.